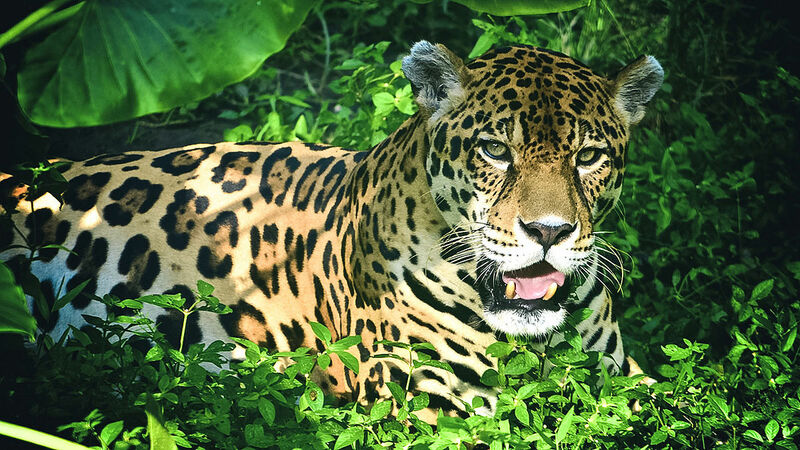 Hunting, ie the killing of wild animals, has been officially banned in Brazil since 1967. But lobbyists now want to legalize the hunt in Brazil – even in nature reserves. Furthermore, the new law will allow private hunting areas: for sports, for commercial purposes as well as the commercial trade and commercial breeding of wild animals. Brazilian environmentalists sharply criticize the bill. Hunting and killing animals call them cruel, immoral and medieval rituals. The hunt is really just for the pleasure of the hunters, the fun of killing and the trade in endangered species. Behind the bill are also the interests of the Brazilian arms industry and arms exporters, especially from the USA. Please support the petition to the Brazilian Parliament. It should protect the wildlife and reject the hunting law! My comment: Go home! Animals do not need serial killers! Unbelievable: The power of the agricultural lobby!! – they want to end the European animal welfare initiative ‘End The Cage Age’! What happens when people in Europe want to end the terrible animal torment in the stables? The big agro-industry starts an attack. 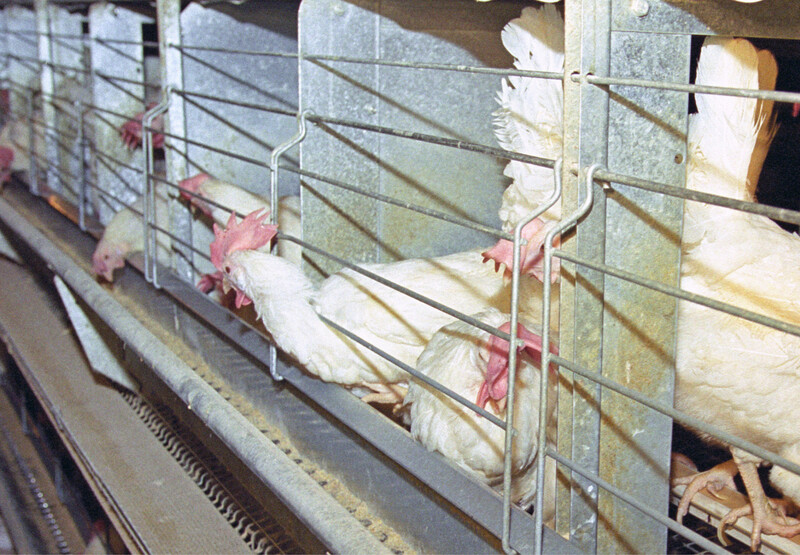 More than 300 million animals in European agriculture suffer from cages. The European Union is the second largest meat producer worldwide! 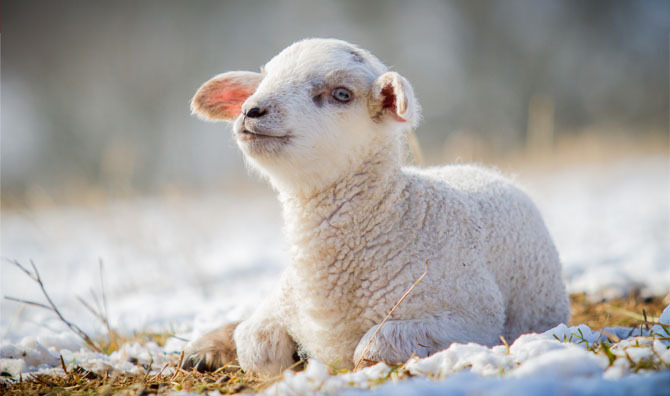 Not only that animal rights activists are no longer allowed to draw attention to the cruel conditions on farms, now the agricultural lobby is launching a counter campaign against a European citizens’ initiative calling for more animal welfare in the stables. Incredible, is not it? More and more outrages of mass animal husbandry are being exposed, but consumers are not supposed to know this, as are the many meat scandals. The agricultural lobby is powerful, EU is the second largest meat producer worldwide! Instead of less meat, more is produced worldwide in 2017, about 324.8 million tons of meat. The meat business is booming! But we do not participate! We need 1 million valid signatures to ask the European Commission to end this unworthy treatment of farmed animals. After such a report, one thinks spontaneously of the victims of the Easter. We celebrate Easter, because everything started with a betrayal – that’s what the church means! The Father sent his son down to earth to save the people … and he was betrayed … we all certainly know the story! We betray the animals every day, but these days the most, and many even with a clear conscience, because they call it tradition. We call it mass murder and do something against this collective madness. We leave all the animals whether pigs, cattle, poultry, rabbits, lambs …. in their peace and sign the petition against the cage attitude. Meanwhile, the sum of donations for Notre Dame has reached the astronomical level of 1 billion euros. From pacing and swaying to injuries and ailments, abnormal behavior patterns and inadequate veterinary care appear to be the norm for many animals languishing at Waccatee Zoo—a roadside zoo in Myrtle Beach, South Carolina, with a long history of violating the federal Animal Welfare Act. For years, big cats, bears, and other animals have been witnessed pacing and baboons have been seen swaying and rolling their heads—all signs of psychological distress. A macaque was frantically self-biting and suffering from what an inspector believed to be frostbite. A llama reportedly struggled to walk after having been severely injured by another animal, capuchin monkeys and bears had hair loss, and a goat was reportedly urinating blood. PETA has sent numerous complaints requesting that the USDA investigate this menagerie, but conditions haven’t improved for the animals trapped at this deplorable facility. “I have never been so devastated as I was over Jill’s death. I will never forgive those involved in animal abuse and to a certain extent the meat eating public who are as much to blame – if the trade in animal cruelty and death didn’t exist we would never have had to demonstrate. I will never forget Jill and love her forever”, has written Pam Brown, a close friend of Jill. 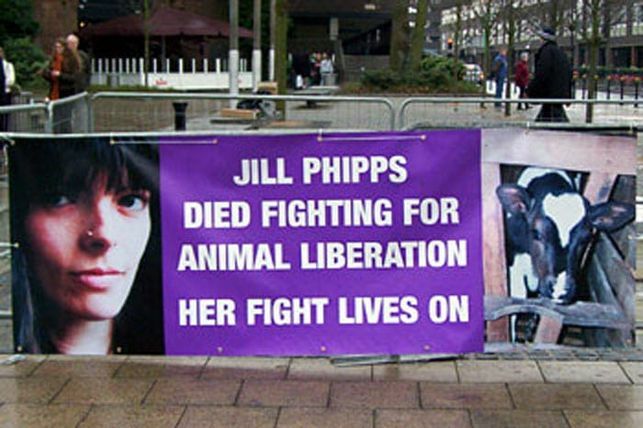 On Wednesday 1 February 1995, 31 year old protester Jill Phipps was crushed to death under the wheels of an export truck carrying baby veal calves into Coventry Airport. Despite the fact that nearly 100 officers were on duty that day, 10 of the 33 protesters present had broken through police lines and attempted to bring the lorry to a halt by sitting on the road and attempting to chain themselves to it. Jill and the others mistakenly assumed that police officers and the lorry driver (Stephen Yates) would respect human life a little more than animals, they were wrong. Police on duty allowed the export lorry to continue making progress despite the clear safety problems. The vehicle was only halted by police once Jill had been crushed beneath the wheels. The Crown Prosecution Service decided there was not enough evidence to charge Stephen Yates with Causing death by dangerous driving. My comment: I did not know the story, I have to confess it. 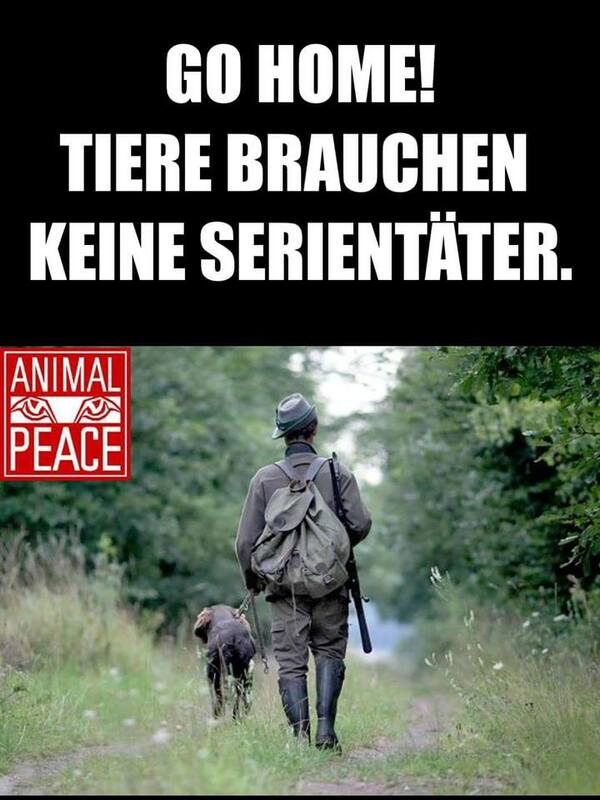 Because nothing was reported on German animal welfare blogs or on Facebook pages. Nowhere. After informing me about all the incident, a few questions have arisen for me: Why is all the information about this murder made available to the public only via the Animal Liberation Front? Indirectly, can be assumed that Jill Phipps is classified as a “fundamentalist” by the rest of the animal welfare scene, and that’s why the “conformists” want to know nothing about her death? Consequently, a fundamental question arises: Is chaining from some courageous animal rights activists on a truck an action that the “good” animal rights activists evaluate as inappropriate ? Or the outrageous charade of the police and prosecutor’s office has also convinced the morale of animal rights activists, that Jill Phipps “deliberately” decided to squirm under the wheels, even though she had decided to continue fighting for animal rights ? Questions to which I would like to get an answer from the comrades of the animal rights community. Nestlé is not only the world’s largest mineral water producer, but also a milk entrepreneur, and it sources more than 12 million tonnes of fresh milk equivalents from more than 30 countries. More and more cruelties from the dairy industry are being exposed, including from a dairy that supplies Nestlè. So horrible conditions were revealed that some shots could not be shown in the media because of brutality. Over the past decade, Nestlé has been accused by many experts and organizations around the world for its unethical business practices in the way it conducts its business. Cows are being beaten, kicked and brutally mistreated. 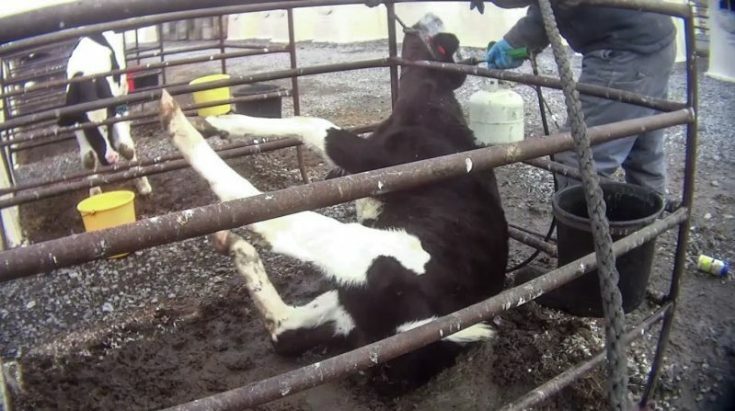 A recent investigation by Compassion over Killing shows how cows are being tortured in this US dairy supplying Nestlé. The footage was shot in Martin Farms, a large dairy in Pennsylvania, USA. In one case, an employee shot an exhausted cow in the head. She suffered torment for almost a minute before being shot again and she died. Turning on the Internet every day gives you the impression that the whole world is all about one thing: the killing of animals for profit, business, products, brands and food. 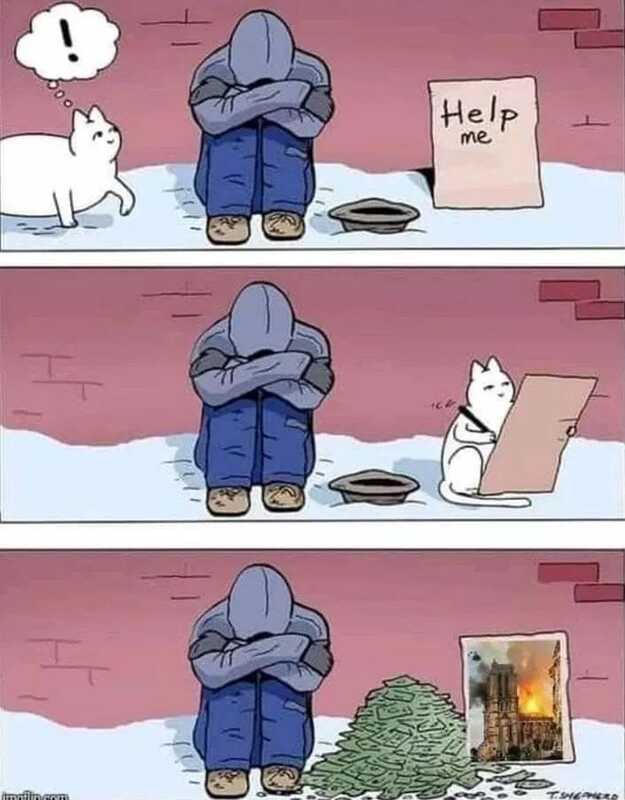 The abominable cruelty of man affected the entire animal kingdom. In fact, we can not find a single species that has not been abused by humans. Not a single one. We have to cooperate closely with each other; only together do we have a chance to make the solidarity message audible everywhere. The mission of the Animal Rights Movement is more than just talking about the rights of “animals”. It’s also about speaking out against the wrong thing people do. And that includes political knowledge and action. Every cruelty that ends is a destruction less on this earth. To end or mitigate this omnipresent cruelty is our mission. One day, the frogs decided to run a race. To make it especially difficult, they set a goal to reach the highest point of a large tower. On the day of the race, many other frogs gathered to watch. Then finally – the race began. And it really seemed as if the audience was right, because gradually more and more frogs gave up. And indeed all the frogs soon gave up – all except one, who climbed abruptly up the steep tower – and was the only one who reached the target. The spectator frogs were completely stunned and everyone wanted to know how it was possible. One of the other participant frogs approached him to ask how he had managed to win the race. 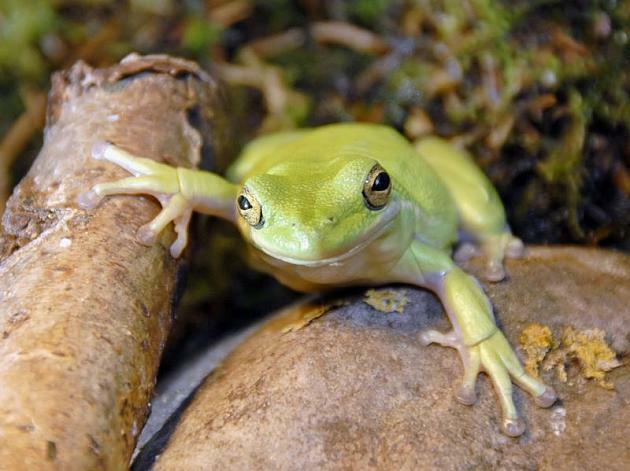 And then they realized that this frog was deaf!